“With our commitment to transparency and fiduciary responsibilities, we hope that the resources offered by GuideStar to potential supporters, can be seen with more clarity in our GuideStar Profile,” said Matt Venaleck (Co-Founder). “We appreciate our community, supporters, and donors for their contributions towards our mission and we hope this Silver Seal helps show our commitment to horses we rescue,” said Tina Garrett (President). ABOUT GUIDESTAR: If you care about nonprofits and the work they do, then you’re affected by what GuideStar does—even if this is your first visit to www.guidestar.org. Here at GuideStar we gather and disseminate information about every single IRS-registered nonprofit organization. We provide as much information as we can about each nonprofit’s mission, legitimacy, impact, reputation, finances, programs, transparency, governance, and so much more. We do that so you can take the information and make the best decisions possible. Learn about our theory of change, impact and results, and plans for the future. Visit http://www.guidestar.org for more information. 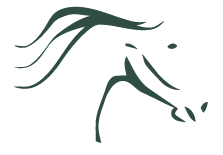 ABOUT SOUTH WEST FLORIDA HORSE RESCUE, INC: Committed to saving the lives of southwest Florida’s local community’s equines through a host of primary programs such as our: Rescue & Adoption Programs. Our secondary programs include our Volunteer & Community Give Back Programs also to be introduced include, our Equine Owner Assistance Programs which will be offered as funds permit. Find out more at www.swfhr.org.